We all know it costs 5x as much to acquire a new customer as it does to nurture an existing one, yet, so many brands are doing just the opposite and focusing more on acquisition than retention. In fact, only 32% of executives surveyed reported that retaining current customers is a top priority for them. The problem is most brands don’t have a solid customer retention strategy in place. And even if they do, they’re not taking advantage of using automation which makes this whole thing that much easier and more effective. Luckily, you won’t be in that boat thanks to this guide. Because after today, you’ll have a better idea of why customer retention should be part of your marketing mix and how to do that using emails and automation. I’ll even show you nine specific types of emails that you can and should start using today. When studied, researchers found that you have a 60-70% chance of capturing a sale from an existing customer. In comparison, new customers only showed a 5-20% chance of completing the sale. In other words, the potential of showing a positive ROI is much higher when it comes to existing customers than when it comes to brand new ones. But it’s not just the first sale that’s easier to capture—it’s also the second and third one too. 1. The longer a customer stays with you, the more they’ll spend. For an apparel company that was studied, repeat customers shelled out 67% more in months 31-36 than they did in the first six months. The same report showed a similar trend in grocery shopping: customers spent 23% more in that 31-36 month time frame than they did in the first six months. 2. Transaction size also increased with length of time. The researchers also discovered that, in the case of the apparel shoppers, the 5th purchase came in 40% higher than the first one, and the 10th purchase was almost 80% higher than the first. Clearly the goal should be to make it past that 9th purchase mark. On top of that, by focusing on customer retention, you’ll also increase your chances of getting referrals from your existing customer base. That same report found that retail customers referred, on average, three of their friends after their first purchase and seven after their 10th. Electronics and appliance customers were even busier, referring roughly 4 people after their first purchase and 13 by their 10th one. Think about this for a second: 13 referrals—and 10 purchases—all from a single customer. Imagine what you could do if you replicated this with each of your existing customers. Talk about retiring early! Now that you understand how focusing on customer retention can help you increase conversions and profit, while also reducing your marketing costs, it’s time to talk about how to go about doing this. One of the most effective ways to tackle this important area is by using email, which is exactly what I’ll discuss next. Now, these three ingredients aren’t the only thing you’ll need—after all—you still need a product that stands out from the rest. So how can you actually get your product to stand out from the rest? Interestingly enough, you can use email to not only tackle all three areas mentioned above, but to also get your product to stand out through continued interaction with customers. Before I get into how to use emails for customer retention, let me explain why email works so well in the first place. First and foremost, email is an effective form of marketing, especially when it comes to retention. This is because it’s a great, informal way to communicate with your customers. It’s also one that feels personal—it’s like having a modern day pen pal you hear from every so often. By using email for this, you’ll stay top of mind and you’ll naturally build and nurture a healthy relationship with your subscribers. On top of that, email is considered one of the least expensive forms of communication. Depending on your email service provider, it may only cost you as low as $19.99/month to a few hundred dollars. But this is nothing in comparison to how big your reach can be. For this low monthly fee, you’re able to communicate with hundreds, if not thousands of your customers all at once. It’s also really easy for anyone to get started with. Compared to other forms of marketing, such as pay per click, email is fairly easy to use. Once you get the hang of your email service provider, it usually doesn’t take long to get up and running. And you certainly don’t need to be an expert to do so. You can also set up a series of automated emails, as I’ll show you later on in this article, to guide your customer through their buyer journey. On the outside, it feels as if someone from your team is almost holding their hand and guiding them. This is a great way to provide exceptional customer service even when you’re not face to face with your customer. But underneath the surface, this automation not only makes your job easier, it can also help you increase conversions. This is only possible if you have the right ingredients in your strategy. But before we do, I want to leave you with a quick note from Pete Boyle, Email Marketing and CRO Consultant, on why you need to use email as opposed to messenger bots or some other platform. “While things like Facebook messenger are getting a lot of attention right now due to how great their engagement stats are the problem is you don't own the list of users. Facebook does. If they decide to revoke Messenger privileges for you, you're out of luck. Messenger and lists built off of other platforms are like building your house on someone else land. You are at their whim. OK, so now that you see the importance of using email as opposed to a different platform for customer retention, let’s take a look at the ingredients you need to use in your email campaign to boost your retention rates. Before you go blasting your subscribers with a bunch of emails, there are some essential ingredients you’ll need to have at the ready. All great strategies start with a plan, and this one should be no different. But it’s also a crucial first step if you want your emails to improve your ability to retain customers (you do want that don’t you?). See, with email, it’s all about sending the right message, to the right person, at the right time. If any of those are missing, or they’re in the wrong order, you’ll end up confusing your customer, or worse, annoying them (as you’ll see next). When this happens, you can almost guarantee they’ll hit the big ol’ unsubscribe button and then you’ll never get your messages across. 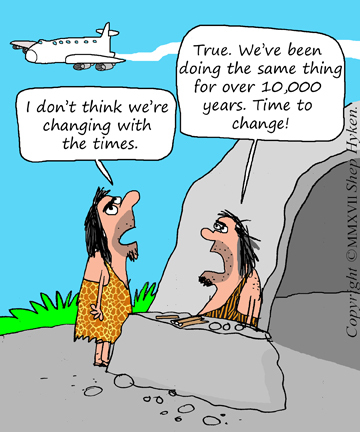 To avoid this, it’s essential that you start out by creating a customer journey map. This important document outlines the exact steps your customers would take before making a purchase and provides key details on the type of information they’d need during each point of their journey. For example, new customers are looking to learn more about your brand or product while existing ones may be looking for what else you offer to solve their problems. Since we’re talking about retention here, consider approaching this from that angle: what else could an existing customer need as far as information is concerned? It’s important to note that you should keep your email focused to a particular goal. “One email, one goal. Is it to educate? Is it to move them to the next stage in the customer journey? Is it to push for a sale? If you need inspiration here, sit tight as I’ll give you just that in the examples to come. Once you have a rough outline of your existing customer’s journey, you’re ready to tackle this next ingredient. Getting customers to subscribe to your email list is already hard enough but keeping them there can prove to be just as difficult. Luckily, this doesn’t have to be the case. One of the best ways to reduce your email churn is to consider how many emails you’re sending your subscribers. Most of us are already bombarded with far too many. In fact, current estimates report that the average consumer can send/receive as much as 111 emails per day (117 projected for 2019!). But now that you have your map all laid out, you can figure out just how many emails to send, without annoying your customers. The key is to only send the most relevant messages people need and nothing more. In a perfect world, customers should only receive 1-2 emails from you per week. For some audiences (namely B2B), this may even be too much. But, by understanding your customers and mapping out exactly when they need to hear from you, you can get a better handle on email frequency. It’s also essential that you tailor your messages so that the right people receive them. If an email doesn’t pertain to a certain group, you need to segment them out. Segmenting your list is one of the best things you can do to improve your customer retention rates. With this, you’re ensuring that your customers only receive messages that pertain to them. By doing this, you’ll give your customers that feeling that your team is directly speaking to them and only them. On the flipside, when you send generic messages, or ones that don’t make sense for the receiver, you’ll confuse them and/or annoy them. And this will only prompt them to unsubscribe from your list which is the exact opposite of what we want here. Let’s dissect just the first and last segment for a second. With the first group (those who recently purchased), they’re excited to start using your product or service. But they may need help with taking the next steps. Sending them helpful getting started emails and other lesser known tips all good ideas. On the flipside, you would not want to send this same message to those who haven’t made a purchase in over a year. For this group, a different approach is needed. Instead, you’d need to send a re-engagement email to this set of subscribers. I’ll show you how to do this tactfully in just a few minutes when we get to the example section. Before we move on to examples, there’s one more ingredient you’ll want to include in your customer retention strategy. It’s also one that’s often overlooked: follow ups. It’s no surprise that most of us are extremely busy. And your customers are no different. Many times, your customers may see your emails come through but it’s during a busy time so they’ll open it, vow to check back on it later, and then forget all about it thanks to other things competing for their attention. Instead of losing all of your hard work, you can use follow ups as a polite way to remind or nudge your subscribers into taking action. Keep in mind, you don’t want to annoy your readers with follow-ups. These should be strategically used and segmented so that only those subscribers who showed interest are sent one. I’ll dive into this further when we go over examples. Creating customer retention focused emails doesn’t have to be complicated, and it shouldn’t be. The examples below are simple yet effective enough to get the job done. When it comes to customer retention, it’s essential that you start the relationship off on the right foot. This really sets the tone for your new partnership. One of the best ways to do just that is by using a Welcome or Activation email. With this, you’re introducing your customer to your brand and giving them that warm welcome they’d receive if they were in person. Plus, you can (and should) also use this important message as a chance to guide your new customer into taking their next step—using your product! First, they welcome their new customer with a huge image of two people hugging, one just so happens to be wearing the product. Just below that we see a big thank you headline with a sweet message to match. Right after that, the Polar team mentions “here’s what you can do with your Polar A370” and they give a breakdown of just that. All of this is neatly wrapped in easy to read bullets with a conversational tone. Again, we’re greeted with an eye-catching image and a big welcome message. What better way to make someone feel included than to show them exactly what they just signed up to be a part of? This example also gives readers an idea of what to do next: Take their Fit test. Key takeaways: Creating a conversational and warm welcome email is a must; but you should also consider adding in the very next step you’d like your customers to take. This helps them engage with your brand right away and gives them more guidance on what to do from there. To make things even more simple, you can break this up into two emails as we’ll see next. 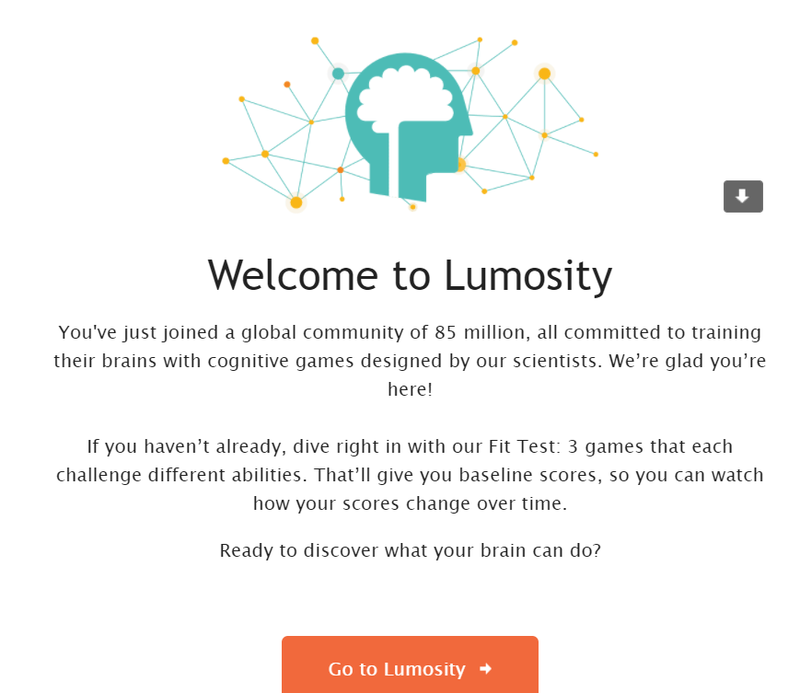 Lumosity follows up their welcome email with another one that explains a little bit more about the product. With this email, they’re helping new customers dive right into everything they have to offer. But they’re doing so in easy-to-digest bite-sized chunks. You’ll notice this in the way they’ve used different colors for each section and only a short 2-3 sentence description. What’s nice about breaking up this email into two parts is that you never overwhelm your new customer. Instead, you offer them just enough info to get them started. Key takeaway: Consider breaking up your welcome and next steps emails into two different ones. By doing this, you can keep everything succinct without overwhelming your new customers. Another tactic that works in a similar fashion is using drip sequences, which is exactly what I’ll tackle next. Customer retention goes hand in hand with nurturing your relationship with your customers. The reality is: if you don’t do this, you won’t have any customers left to market to. A great way to tackle this is by using drip sequences or lead nurturing emails. These emails are sent out automatically based on a predetermined sequence. They can be spaced out a day apart, a week, or a month. The choice is yours. They’re great for capturing any potential customers on the fence but they’re also ideal for helping your customers get more out of what you have to offer. But to do this right, you need to focus all (okay, most) of your attention on helping your reader solve their problem instead of trying to sell them on your solution. This is the point where many brands cringe. Won’t that just be giving away the house? Why would anyone pay me to do something if I give it all away? Sure, by giving your customers a glimpse into how they can solve their problems, they’ll be more likely to do so. However, when they hit a snag or run into a point in the process they can’t solve, they’ll turn to you as the expert since you’ve already shown them how you can help. This is known as a soft sell approach. Brennan Dunn, creator of Double Your Freelancing Rate, has a course on doing just that. You’ll see that there’s multiple lessons, including worksheet emails, in the sequence. 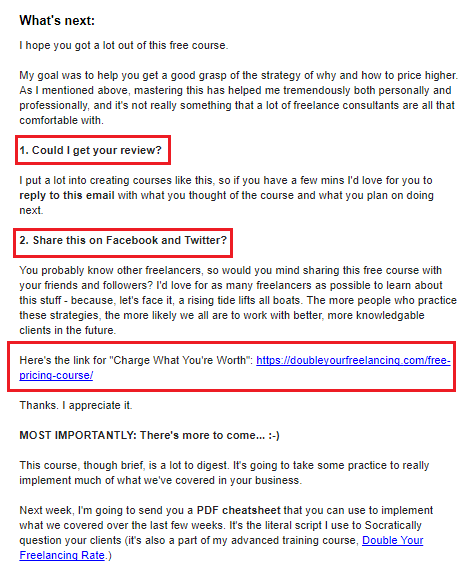 Brennan thanks the subscriber for finishing the course, asks them for a review, and then quietly pitches his course on Charge What You’re Worth. The entire drip sequence was based on that theme. But, for most freelancers, it was just enough info for them to realize they need to charge more, some practical tactics to use moving forward, and then an extended offer in case they weren’t able to do it themselves. This is how the idea of a soft sale works. Instead of promoting his product in the first email, Brennan built the relationship first by identifying the problems and frustrations most freelancers face, outlined how they can solve it, and then made an offer for anyone needing extra help. In many cases, those who took the extra help doubled or even tripled their income. So the free course is like a foot in the door for commanding higher rates while the paid course practically guarantees that you’ll double or triple your rates in no time. 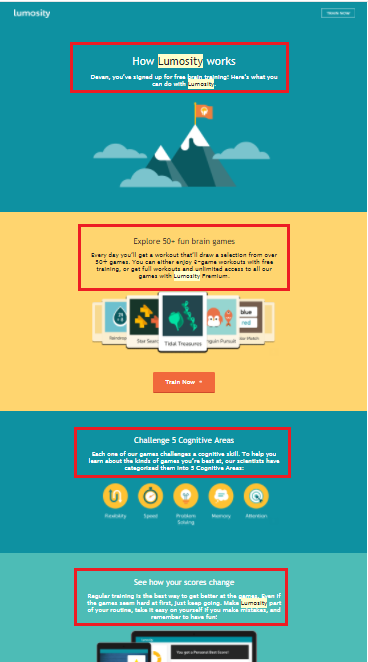 This time, you see 5 lessons instead of 9 and a call to action email that doesn’t specifically list a lesson number on it like Brennan did. The last email is also a soft pitch though for how this company can help your brand tell better stories. But they only deliver that once someone has completed the first 5 lessons. The reason for this is simple: they know that any customers who have made it this far are motivated to make a change. And that’s exactly the customer you want. Key takeaway: Consider how you can solve a problem for your customers using a series of automated emails like these. You don’t need to have 9 lessons, or even 5 for that matter. Whatever makes sense for your audience is what you should run with. Start by answering: What is your customer’s biggest struggle right now? Can you guide them using an email sequence to at least start solving their problem? And remember to keep the selling to a minimum. You can add a small P.S. to the bottom of your emails but you’ll want to save the bigger pitch for your very last one in the sequence. This is the point when your customers are already warmed up to hearing what you have to say. The next customer retention focused email on our list is far easier to create than a drip sequence, which means you have no excuses for not using it. For many customers, they want to know that their voice matters and that you’re listening. An easy way to do this is by using customer feedback emails. You can even take this a step further by asking for a testimonial when you ask for their feedback. I’ll show you this in action next. 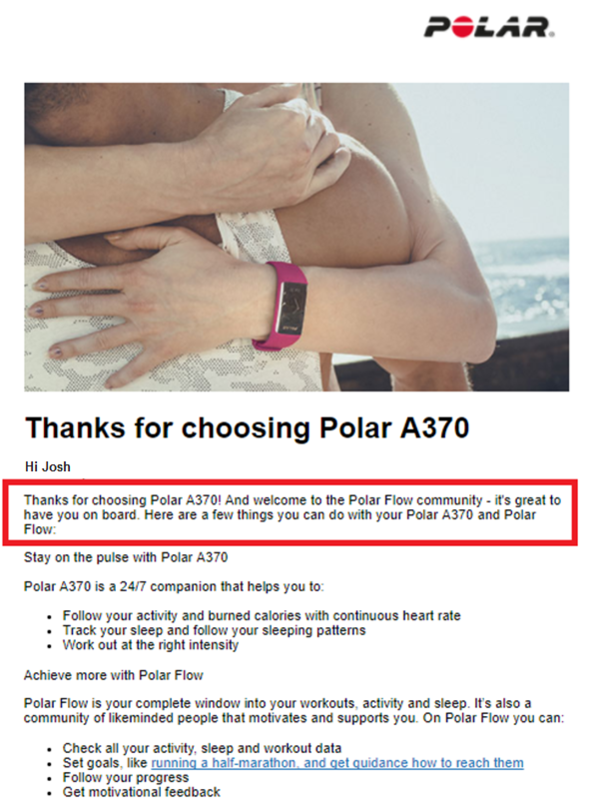 In this example, you see a sweet thank you message that encourages recent purchasers to send over feedback, both good and bad since their goal is to improve the customer experience right from the start. This gives customers an even bigger microphone to use: instead of providing feedback that may go nowhere, they can do so publicly, which ensures that their voice will be heard. It also shows that this company values transparency; they have no idea whether your review is going to be positive or not, but they’re still willing to take that chance in order to make things right and improve their brand. They’ve also added a short snippet mentioning that they know how busy their customers are and that this won’t take up too much of their time. These are all key ingredients that can help you improve your customer retention without having to spend too much more time doing so. After all, this is an automated email that’s sent out anytime someone purchases their product which means you only have to set this sequence up once, yet it can prove to be a recurring reward for strengthening the relationship you have with customers. Key takeaway: Feedback emails are a great way to show your customers that you value what they have to say. Asking for a testimonial takes this a step further. Give your customers a bigger platform to share their story and they’ll be more likely to stick around and trust your brand. Another email that will help keep your customers with your brand is by showing your appreciation for them which is exactly what this next example on my list does. One of the best ways to stay in touch with your customers—and top of mind—is by showing them just how much you appreciate them. 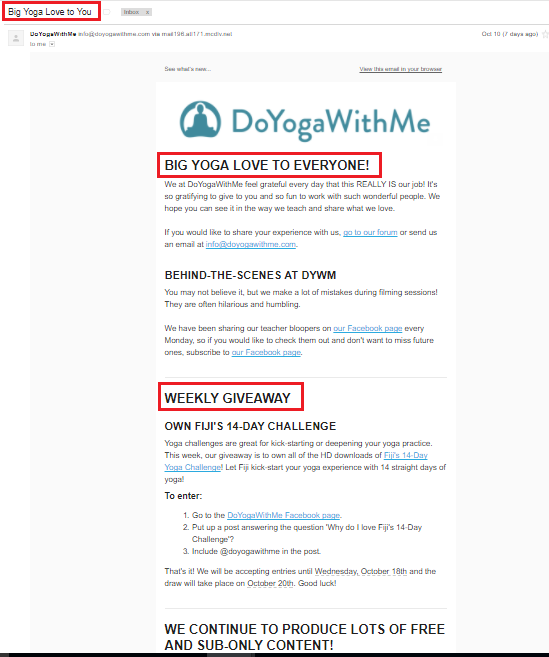 Before customers even open the email, they see the warm subject of Big Yoga Love to You. That same theme is repeated within the body text. At no point does this email ask for a sale or provide any hint of that. Instead, you’ll notice it’s appreciation, plus a sneak peek of behind the scenes of the community, and then a free giveaway. Key takeaway: This is a great strategy to follow. 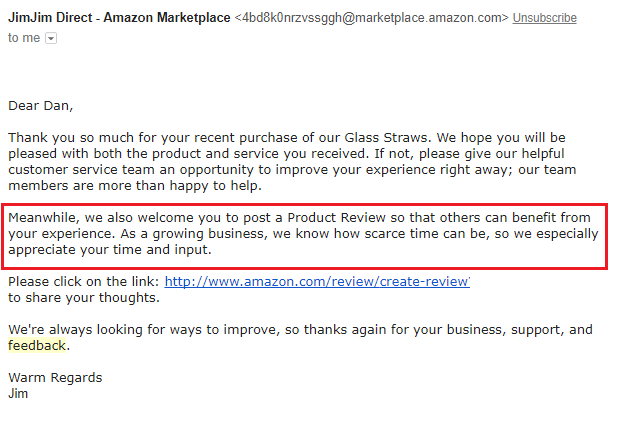 It’s a customer-centric email that shows appreciation for the customer without actually selling or marketing to them. It’s also great for evoking positive emotions in your customers (you know, those warm fuzzy feelings) and helps to strengthen your bond with them. Because of this, it’s one email you’ll absolutely want to include in your customer retention strategy. As you may have guessed, promotional emails can be included in this same plan. But, only when done correctly as I’ll show you next. Aside from the usual promotional emails you send, be sure to send ones that are focused on customer retention too. Exclusive discounts or user-specific celebrations are perfect for this. For anyone on their email list, they’ll receive an exclusive discount for their next upcoming event. 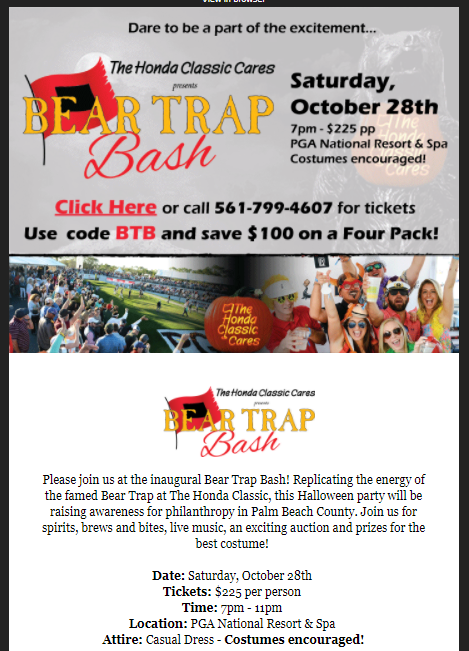 Within the email, you’ll notice a total savings of up to $100 for a four pack of tickets thanks to the exclusive code inside. All of this exclusivity creates the feeling that only the subscribers who receive this email are VIP customers. Another way to make your subscribers feel important is to wish them a happy birthday via email. This simple step alone gives customers a feeling that they’re important but the team at Runkeeper decided to take this even further. They also gathered this user’s personal stats since their last birthday. 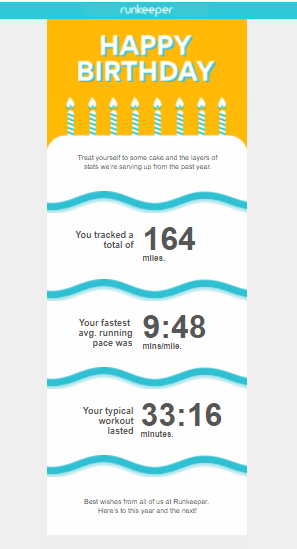 And they shared this user-specific info (read: personalized) in the form of a layered cake. This example also works well because they’re not asking for a sale or offering a discount. They’re simply nurturing their relationship with their customers which is why this is a perfect email for customer retention purposes. Keep in mind, offering a discount is not necessarily a bad idea, as I’ll show you next. This shifts the focus to the customer and makes them feel special. Instead of leading with the deal, they’ve tucked it away under a warm, fuzzy greeting. Plus, for any subscribers who already planned to treat themselves for their birthday, you’ve sweetened the deal since now they won’t have to pay full price to do so. Key takeaway: Sending exclusive emails will help you create and foster a personal relationship with your customers. The key is to collect that important information from your subscribers and to use segmentation to hand deliver it to the right ones. Start with basic segmentations such as birthdays or previous purchases and you’ll create a personalized message that moves your subscribers into taking action. The next example on my list also helps to nudge your customers without being too pushy. Let’s face it. Your customers are busy. There’s no surprise there. But there’s nothing worse than missing out on something just because you were too busy. And your subscribers feel that way too. Think back for a second to a time when you forgot to use a coupon and only realized it after the fact and once you already made your purchase. Luckily, thanks to email automation, your customers won’t have to experience that regretful feeling. 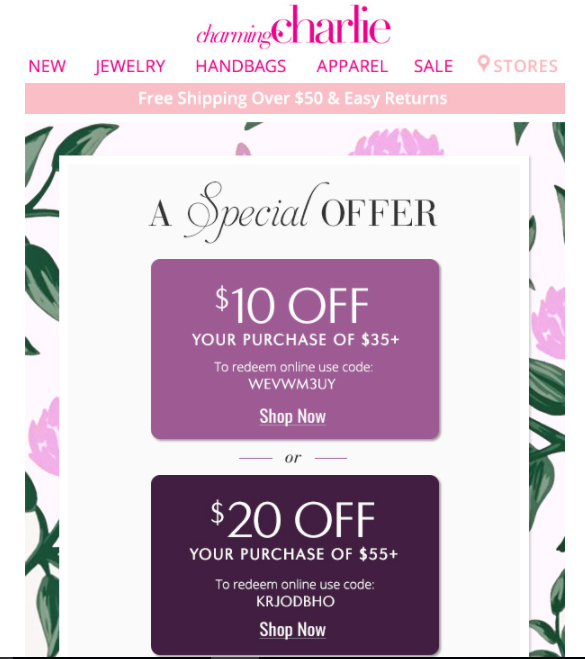 With reminder emails, you can give your customers that gentle nudge they need and they’ll just see it as a helpful reminder that they’re about to miss out on a great deal. Let’s see how this next example does this. First, they start out with the subject line: Don’t miss this! Your VIP offer expires SOON. From there, you see A Special Offer written in the heading and the entire email looks almost like a fancy invitation. But it’s not. It’s just a reminder email that works well. Key takeaway: Reminder emails can be a helpful way to improve your customer retention. The trick is to only send it to those subscribers who were interested in your first offer. How can you tell who those people are? Anyone who opened your first email will probably be interested in a friendly reminder, as well—making this the perfect place to segment. This exact thinking also works well for the last email example on my list. You may find that some of your subscribers go into hiding, and you no longer see them opening your emails or taking any action really. Instead of letting them stay dormant, try to re-engage them. Chances are, you may catch them at just the right moment where they realize they need you again. 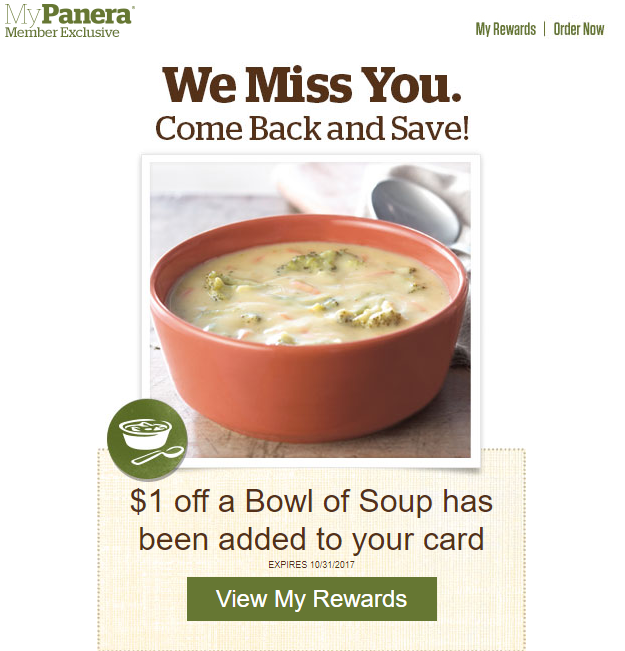 Based on recent purchases (or lack thereof in this case), Panera decided to send over an enticing offer via email. It’s a simple deal that requires very little work on the customer’s end—they just need to show up and the discount is already activated on their reward card. At the time of writing this, the temperatures outside were starting to drop—making it the perfect weather for soup. And the team at Panera knows this all too well. By dropping off a pre-loaded coupon for a soup special that someone may already want during this time of the year, they’re re-engaging a customer who may not have woken up otherwise. Key takeaway: Remember, it’s cheaper to retain a customer than it is to acquire one so it pays to knock out an email like this one right away. Be sure to segment it to your customers who have not made a purchase in a while and you’ll be in good shape. “It's worth implementing a cleaning sequence. I have one that tracks for non-engagement over a few months triggering a re-engagement campaign. If a user doesn’t engage with the re-engagement, I unsubscribe them. Keeping them on the list only damages statistics and also can lead to you getting flagged as a spammer. Now that you understand the importance of customer retention and how email can be a great tool for this, you’re ready to create a strategy all on your own. 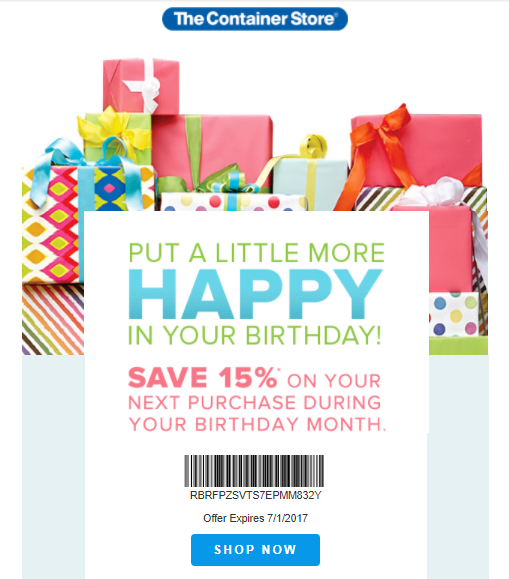 Begin with the essentials such as a Welcome/Activation email to start off your customer’s journey on the right foot then make your way towards more personalized ones like a birthday or exclusive offer. Once you’re done with those, you can start tackling the re-engagement emails and the more time-consuming ones such as a drip sequence. The good news with these emails is that you can use automation here so you only have to set them up once and they’ll run on autopilot. As long as you refresh them every so often, you’ll be in good shape. 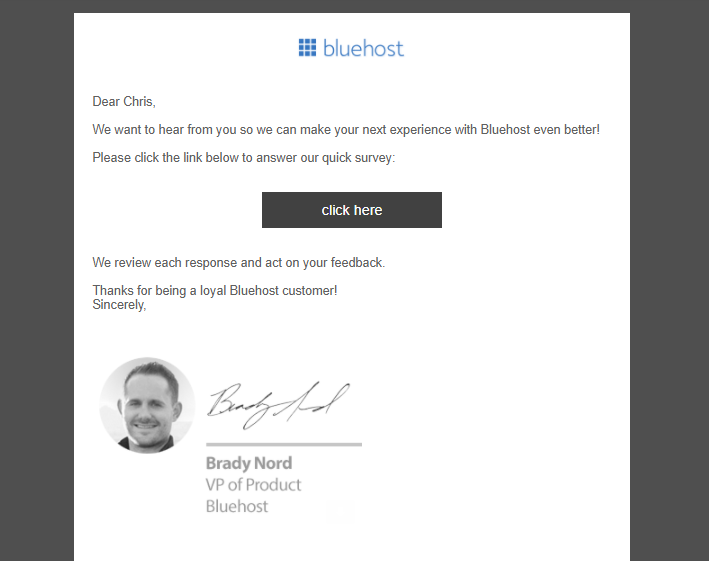 Customer retention doesn’t have to be complicated and with automated emails like these, it won’t be.